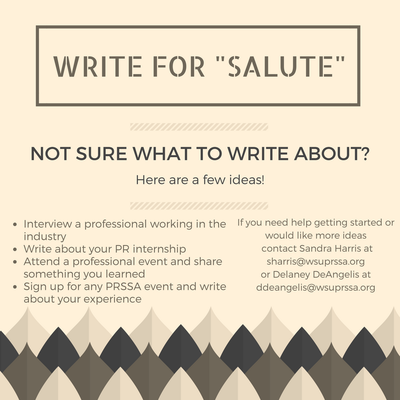 Salute is WSU PRSSA's annual newsletter that showcases the chapter's accomplishments and activities. The newsletters is distributed to students, professionals and WSU faculty. Contact our Salute editors today!